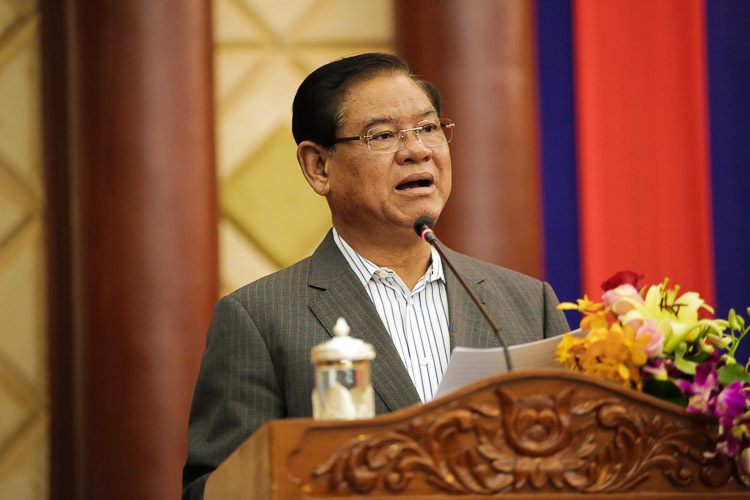 Interior Minister Sar Kheng yesterday said that illegal surrogacy is spreading in the Kingdom and the government is committed to combating the scourge which is also linked to human trafficking. 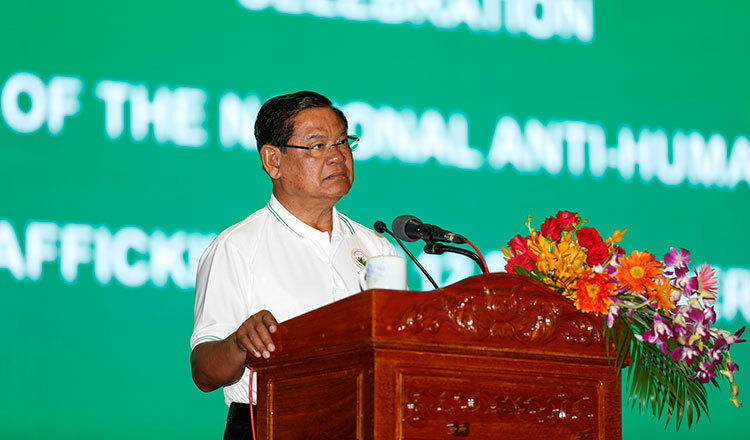 Speaking at the National Human Trafficking Day held at the Koh Pich exhibition hall, Mr Kheng said that surrogacy degrades women and affects morality in the country. Mr Kheng noted that the government via the Woman Affairs and Justice ministries is working on formulating a law on surrogacy. Choun Sok Chhai, a National Committee for Counter Trafficking (NCCT) deputy chief, said at the event that surrogacy is a form of human trafficking and the government is tackling the issue. On another matter, Mr Kheng yesterday also directed the relevant authorities to do more to stop illegal migrations into Thailand, especially along the Poipet border in Banteay Meanchy province. “Please do more to stop them and send them back to their homes safely,” Mr Kheng added. Sin Nam Yong, deputy director of the coordination committee for worker repatriation from Thailand via Poipet, said that nowadays, there are not many Cambodian workers being deported by Thailand but it is still happening every day. “When they are deported and sent to the Cambodian side of the border, we question them to get details on how they went to Thailand to check if they are victims of human trafficking,” she said.